HAMILTON, Bermuda, and SEATTLE, July 11, 2018 /3BL Media/ — Family-owned Bacardi Limited, the largest privately held spirits company in the world, and Lonely Whale, the award-winning non-profit dedicated to bringing forward courageous ideas that positively impact the health of our ocean, today announced they have joined forces to help rid the environment of single-use plastic, including the goal to eliminate one billion single-use plastic straws by 2020. In addition, Bacardi announced a commitment to review its global supply chain, with the aim of removing non-essential, non-recyclable single-use plastic waste. Through a series of corporate and brand collaborations, events, and calls-to-action around the world, Bacardi will encourage consumers, customers, and all those looking to lend their ideas and voices to the initiative, to join the campaign entitled #TheFutureDoesntSuck. 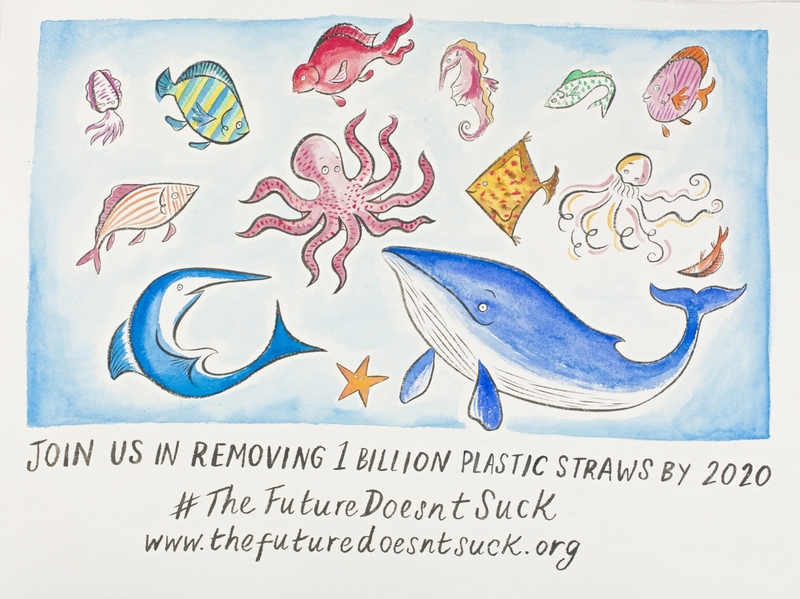 #TheFutureDoesntSuck formally kicks off in London, England, where the BACARDÍ® rum brand and Lonely Whale will mobilize consumers and businesses to work together towards the goal of achieving a radical reduction of single-use plastic straw consumption throughout the city. The campaign is supported with a series of illustrations that communicate the devastating impact of single-use plastic straws on the world’s oceans. The iconic rum brand will eliminate single-use plastic straws from branded events, music activations, and the BACARDÍ Rum Truck while committing to use biodegradable paper cups across the UK activations. In addition, BACARDÍ in the UK will donate the proceeds of ticket sales from its Casa Bacardi music events, taking place throughout June and July in London, Manchester, and Birmingham, to the Lonely Whale’s Strawless Ocean initiative. In the fall, activity continues in North America as the rum brand activates the movement at all its major music activations. 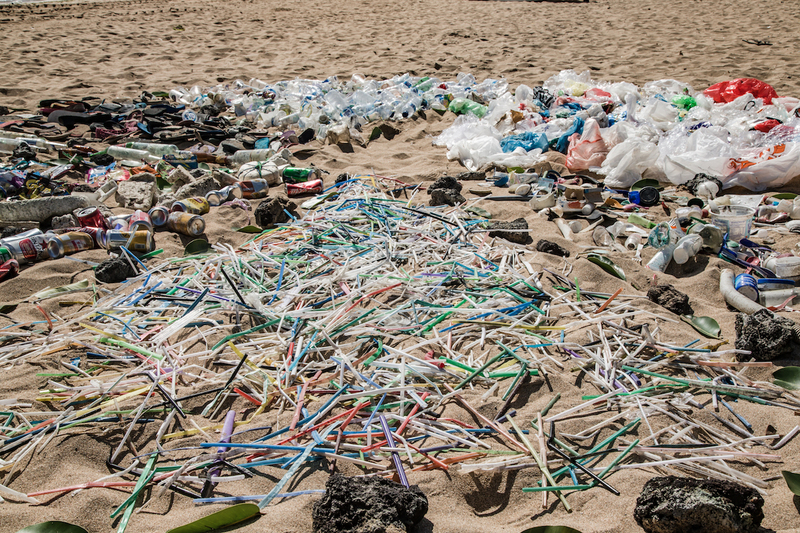 In support of the collaboration, the global headquarters of Bacardi in Bermuda launched a new training program for distributor partners and on-premise locations that offer alternatives to plastic straws. In the United States, where it’s been reported that approximately 500 million plastic straws are used and discarded each day, Bacardi will continue to partner with national chains and independent accounts to promote plastic-free, marine-friendly straw, or strawless options for cocktails. Bacardi and Lonely Whale will expand the program in China and focus on programs with ten leaders in the hospitality and spirits industry to drive adoption of the pledge. Both Bacardi and Lonely Whale are supportive of the United Nations Sustainable Development Goals for 2030, comprised of goals and targets set to stimulate action in areas of critical importance for both humanity and the planet. We believe that through partnerships with governments, other companies in the private sector, and others, we can have a positive impact on many of the goals. To join this global campaign, visit www.thefuturedoesntsuck.org. There, individuals can declare their commitment to ensuring #TheFutureDoesntSuck by committing to go plastic-straw free and recruit restaurants, hotels, bars and other venues. Establishments can register their commitment and challenge others to do the same so that together we can all ensure #TheFutureDoesntSuck. Bacardi Limited, the largest privately held spirits company in the world, produces and markets internationally recognized spirits and wines. The Bacardi brand portfolio comprises more than 200 brands and labels, including BACARDÍ® rum, GREY GOOSE® vodka, DEWAR’S® Blended Scotch whisky, BOMBAY SAPPHIRE® gin, MARTINI® vermouth and sparkling wines, PATRÓN® tequila, CAZADORES® 100% blue agave tequila, and other leading and emerging brands including WILLIAM LAWSON’S® Scotch whisky, ST-GERMAIN® elderflower liqueur, and ERISTOFF® vodka. Founded more than 156 years ago, in Santiago de Cuba on February 4, 1862, family-owned Bacardi currently employs approximately 5,500, operates more than 20 production facilities, including bottling, distilling and manufacturing sites, and sells its brands in more than 170 countries. Bacardi Limited refers to the Bacardi group of companies, including Bacardi International Limited. Visit www.bacardilimited.com or follow @BacardiLimited.